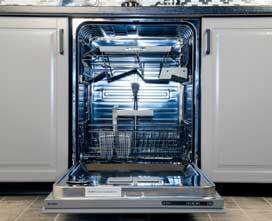 We specialize in Asko appliance repair including Asko dishwasher repair, Asko washing machine repair, and Asko dryer repair. Whether you need Asko repair, installation or maintenance, we can help you with all of your needs. Our team of is factory trained and certified to repair Asko appliances of all models. No matter how serious or simple the problem is, our highly skilled technicians are up for the challenge. We are simply expert in all aspects of kitchen appliance repair. Asko is a quality brand. 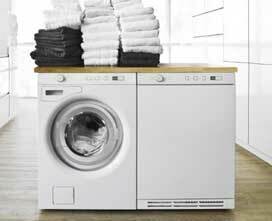 It’s dishwashers, washing machines and dryers use the latest technology. Quality, durable materials are used in their construction. All you need is a professional maintenance and troubleshooting to keep your Asko appliance working on and on for years. We provide you with both highly professional and affordable service. We offer you a accurate estimate and 3 yearwarranty on parts. Also, we have the same day emergency appointment available. We also provide you with the best customer service around. Our technicians always come on time and call ahead to make sure you are ready. They are always polite, respectful and eager to help. We come to a job fully ready for anything. All the tools and parts are always on board for each particular job. Your convenience is very important to us! We guarantee that you will be totally satisfied with our work. Your Asko appliance will be perfectly functioning and safe to operate after an appointment with us! Why choose us to do Asko appliance repair for you? We are a well-trusted family company that has more than 30 years experience in appliance repair. We have all the technical knowledge need it to do a great job! Our team is factory trained and certified on all the aspects of Asko appliance repair. They are familiar with latest Asko technology. You can trust us to do an outstanding job for you! Besides, excellent technical skills our company is also offering you great customer service. Our techs will treat you with respect. They will be at your house on time. They will do an outstanding job for you and clean up after themselves at the end of each job. For our company “the customer is always right!” That is why we have a full 3 yearwarranty on parts and accurate estimate with each job. For Asko appliance repair, please call us at 925-265-7782 in East Bay or 628-214-0064 in Marin County. Or you can fill out our short contact form. We would love to talk to you and answer all of your questions. Besides Asko appliance repair are also certified to repair Bertazonni, Bosch, Dacor, DCS, Electrolux, Fisher&Paykel, Frigidaire, GE, Jenn-Air, KitchenAid, La Cornue, LG, Liebherr, Marvel, Miele, Perlick, Samsung, Siemens, Sub-Zero, Thermador, Traulsen, True, Viking, Whirlpool, Wolf. We repair refrigerators, washers, dryers, dishwashers, stoves, ranges, ovens, steam ovens, microwaves, freezers, ice makers, barbeque grills, pizza ovens and much more. Our company does residential repairs as well as commercial repair. We specialise in Asko appliance repair including all models of Asko dishwashers, washers, and dryers. Whether you need Asko repair, installation or maintenance, we can help you with all of your needs.